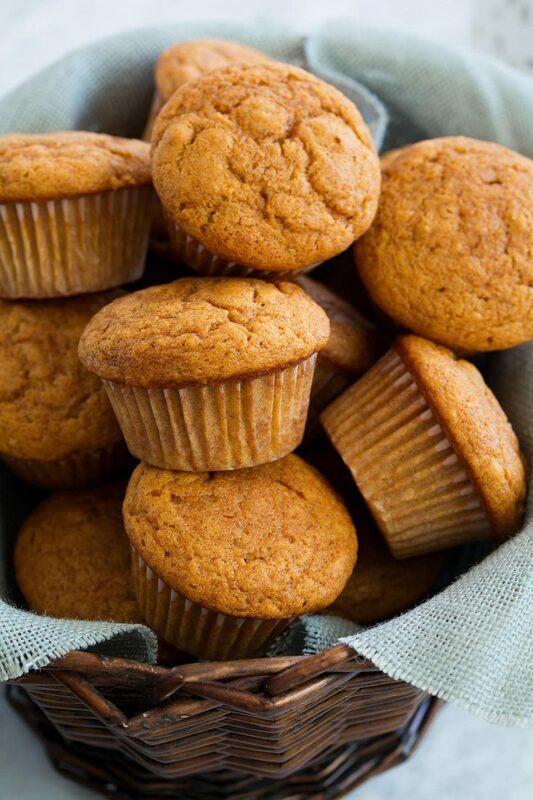 Ideally, the ‘healthiest’ muffin is high in protein, fiber and contains only the healthiest fats. A healthy diet aims at keeping insulin levels (and sugar levels) balanced throughout the day and this means eating more protein and fiber to keep you feeling full, longer. (doesn’t spike blood sugar levels) This muffin is hearty with the perfect amount of ‘sweetness’ and makes a balanced mid afternoon snack. Blend almonds in a food processor (or use almond flour) and then stir in baking soda and spices. Mix the eggs and pumpkin into grapeseed oil. Combine wet and dry ingredients. Use muffin cups to line a muffin tin and fill half the cup with batter. Bake at 350 degrees for 40-45 minutes or until muffins spring back when pressed with a fork. Makes 10 muffins.